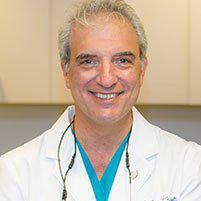 Dr. Franzetti is a top-rated dentist and periodontist in Manhattan and Brooklyn, NY, providing state-of-the-art dental crowns and crown-lengthening procedures to help patients improve the aesthetics of their smiles while warding off decay, gum disease, and other damage. Crowns are dental devices that are designed to cover your existing tooth to help hide cosmetic defects like cracks, chips, deep staining or fractured teeth, as well as provide support and strength for teeth that may have become weakened by disease and large cavities. They're also used to protect teeth after root canals and to provide added strength to the teeth that are used to support a dental bridge. Made of very strong materials, crowns can be tinted to match your surrounding teeth for a healthy, natural look. During the first visit, your tooth will be shaped to make room for the crown, a process that involves removing a small amount of tooth material. An impression will be made to serve as the mold for the new crown and a temporary crown will be put in place. At your second visit, the temporary crown will be removed and the permanent crown will be attached using a special adhesive. Gentle buffing will ensure a perfect fit. Crown lengthening surgery is a procedure used to expose more of your own natural tooth in a smile that looks too “gummy.” The procedure uses precise techniques to remove excess gum tissue and reshape the natural gum line. Crown lengthening surgery can be performed on one or more teeth or your entire gum line. It's often used prior to placement of an artificial crown. What are the benefits of crown-lengthening surgery? Crown lengthening surgery can improve the way your smile looks so you feel more confident about yourself and your appearance. It may also help improve function and reduce the risk of decay and gum disease by ensuring the correct amount of tooth is exposed and reducing pressures on the gum that can allow bacteria and tartar to enter.